The fact that highly vulnerable countries like Ethiopia face far greater challenges from climate change makes agricultural adaptation a top priority. 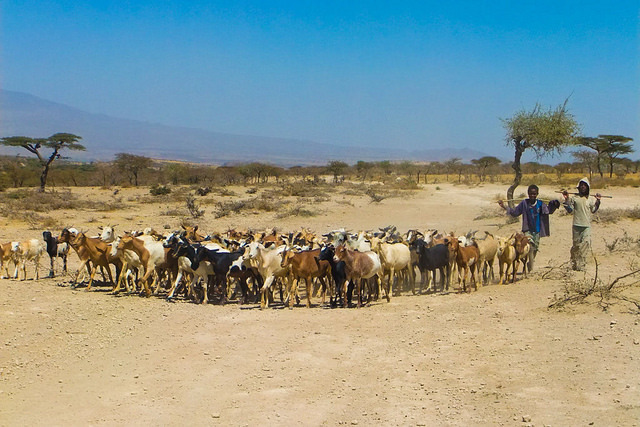 Even though the public agriculture extension system in Ethiopia plays a central role in facilitating and supporting adaptation, very limited information is available on how aware the actual extension agents (EAs) are regarding the issue. Therefore, this research attempts to provide a specific insight on the current level of awareness and understanding of EAs regarding climate change. Survey questionnaires and semi-structured key-informant interviews were used to collect primary data from extension agents and decision makers. Results indicated that generally EAs had a good perception of climate change as well as its impact on agriculture & natural resource use and availability. Also, there was a majority consensus among EAs regarding certain changes in weather patterns and the frequency of extreme events. Weaknesses and challenges concerning the level of priority given to climate change and adaptation, capacity building efforts and access to resources were identified as well. Identified challenges imply the need for a synchronized approach towards climate change adaptation and capacity building to enhance EAs awareness of the issue. This research is original and highly valuable to identify weaknesses and strengths regarding EAs’ awareness of climate change adaptation.